Giving up your life in your home country and migrating to the other side of the world is never an easy choice, but sometimes it may be the best thing to do and for some people it may be the only safe way to live and bring up a family. Mina Nasseri is a migrant from Southern Iran who came to live in South Australia last year with her husband and family. She has many reflections on the differences between life in Iran and what she has experienced so far in Australia. Despite the many difficulties which anyone who decides to migrate has to overcome, she thinks that the decision was a good one. Mina comes from a part of Iran called Ahwaz, which is in the deep south of the country. The Ahwazis are of Arab origin and speak Arabic as well as the national language of Iran, Persian. To immigrate into Australia one of the more tedious, but necessary tasks, is to translate every important document into English. 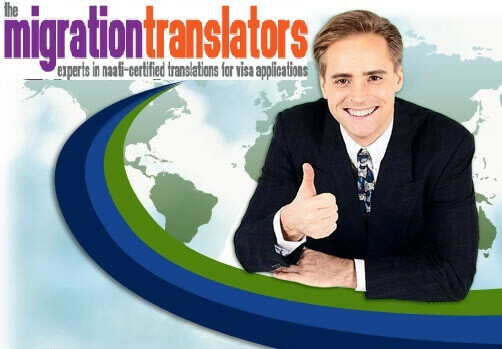 Luckily there are very good visa document translation specialists here and Mina and her husband would have had all the help they needed to get the necessary documents ready using an accredited NAATI translator. Mina thinks that Ahwaz is neglected by the Iranian government and its people are discriminated against. She thinks that Australia has a much more respectful attitude to its residents than what she was used to back at home and that was one of the aspects that made the family consider emigrating to Australia. Mina and her family would have left many of their family members and friends behind when they moved to Australia – in many ways that is a much more difficult task than just getting your paperwork translated by a NAATI translation service from Persian into English! Mina says that she would not be able to speak her mind as easily in Iran like she is able to do in Australia – she says that she could have been arrested simply for criticising the government, especially considering her ethnic origin as an Ahwazi.